Click on the “Register Now” button. 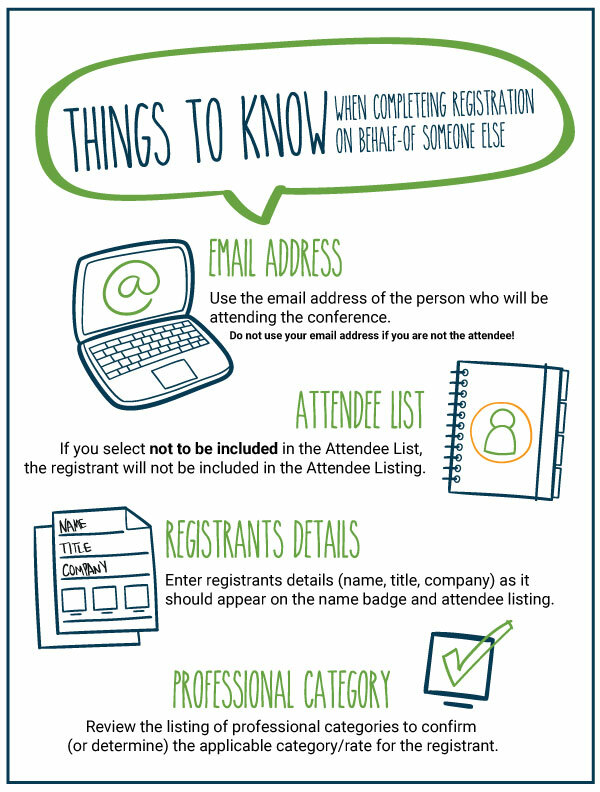 Please be sure to have the following information before starting the registration process…. To take advantage of Early Bird registration rates, registrations must be received by the NIC Registrar no later than December 31, 2019 at 11:59 PM ET. Cancellations must be submitted online via NIC’s event registration site or by email to registrar@nic.org. Cancellations received by January 9, 2019 will be assessed a $275 administrative fee. After January 9, 2019, the full amount of the registration fee will be forfeited. NIC does not issue credits for future NIC events. Replacement of a registered conference attendee by a business colleague/co-worker within the same company and professional category will be accepted. A $50 processing fee will apply to all substitutions. Substitution requests may be submitted in writing to the NIC Registrar at registrar@nic.org until January 15, 2019. After January 15, 2019, all substitution requests will be treated as a full cancellation of the original registration and subject to the cancellation fee. Click on the "SCHEDULE" tab and select "Schedule at-a-glance; scroll down to the bottom right hand corner and click the button "PRINTER FRIENDLY." Registered attendees are responsible for arranging their own accommodations. Please review your registration confirmation email for details on how to book a hotel reservation for the spring conference. The discounted rate for registered attendees starts at $299 per night for single/double occupancy + applicable taxes. Please contact the hotel directly for name changes, arrival/departure changes, and/or cancellations. Deposits are refundable for cancellations received at least thirty (30) days prior to the scheduled arrival; deposits are forfeited for cancellations received after thirty (30) days prior to the scheduled arrival. NIC has reserved a limited amount of rooms at a discounted rate for registered attendees at the Hilton San Diego Bayfront. The discounted rate ($299) will be available until January 18 or until the NIC room block is sold out. The official overflow property is the Omni San Diego hotel. NIC has reserved a limited amount of rooms at a discounted rate for registered attendees at this property. The discounted rate (starting at $249) will be available until January 18 or until the NIC room block is sold out. Contact sponsorships@nic.org for information and a list of available sponsorships. Priority is given to NIC sponsors – please contact sponsorships@nic.org for assistance. The electronic 2019 NIC Spring Conference Attendee Listing will be available via the conference mobile app.